After General Andrew Jackson’s victory over the British at the Battle of New Orleans on January 8, 1815, some of his soldiers returned to their homes in Tennessee over the Natchez Trace. Originally a forest path, the five-hundred-mile road, first beaten through the wilderness by buffalo, then by Indians, frontiersmen, armies, and settlers, extended from Natchez, Mississippi to Nashville, Tennessee. Among Jackson’s troops was a soldier who carried some pecan nuts home from Louisiana. According to legend, when he camped overnight at what is now Natchez Trace State Forest, he met a girl named Sukie Morris, who lived nearby. The soldier gave her some of the pecans, which she planted. 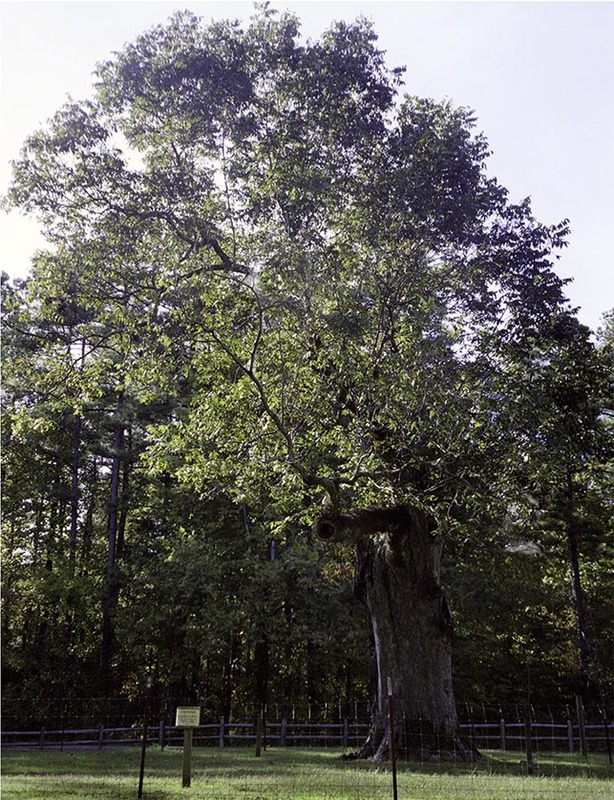 One of them grew to become the Natchez Trace Pecan, at one time the largest documented pecan tree in the United States. The old pecan stood on the Camden Road, in rural Carroll County in the Natchez Trace State Forest. The tree was over 183 years old when its poor health forced foresters to remove it in the summer of 2008.